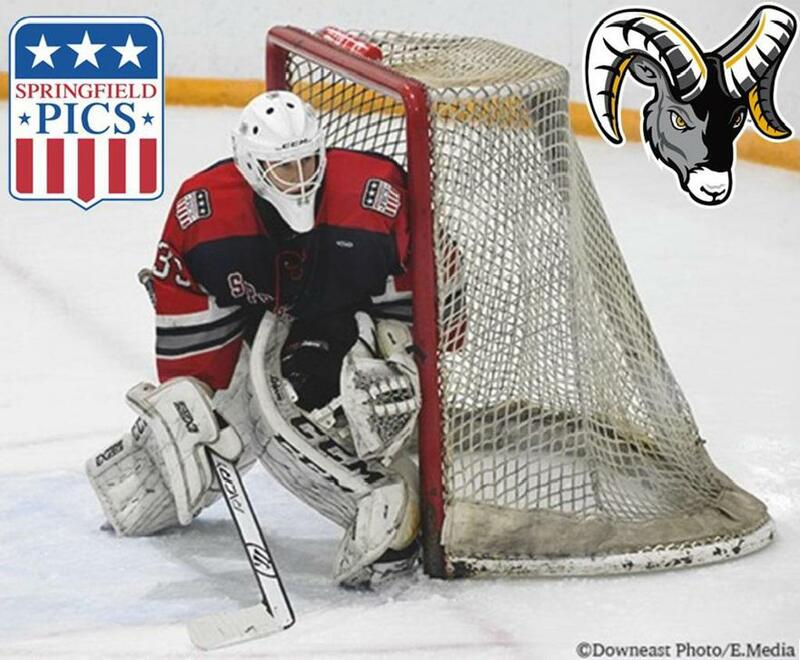 The Springfield Pics, proud members of the USPHL, announce that Blake Carlson has committed to the Framingham State College Rams for the 2019-2020 season. Blake has played for the Pics for two years, and has played for the Tampa Bay Juniors and the Northern Cyclones before coming to the Pics. In his time with the Tampa Bay Juniors of the USP3HL, he played in 15 games, with at 3.42 GAA, and a .89 Save Percentage. During his time with the Cyclones, he played in 24 games, with a 3.17 GAA, and a .908 save percentage. During his time with the Pics, he played in 13 games in the 2017-2018 season, with a 3.39 GAA and a .886 save percentage, and this season he has appeared in 16 games, with a 2.01 GAA, and a .944 save percentage, which puts him 7th in the league, at the time of this release. Premier team head coach John Sarno states, "General Manager Rob Bonneau and I take great pride in making sure our players have an opportunity to have a college education, as well as the ability to play hockey at the same time. Blake has done a great job in his second season with the team, and his efforts have paid off." The Springfield Pics congratulate Blake in his college choice, and wish him the best of luck.